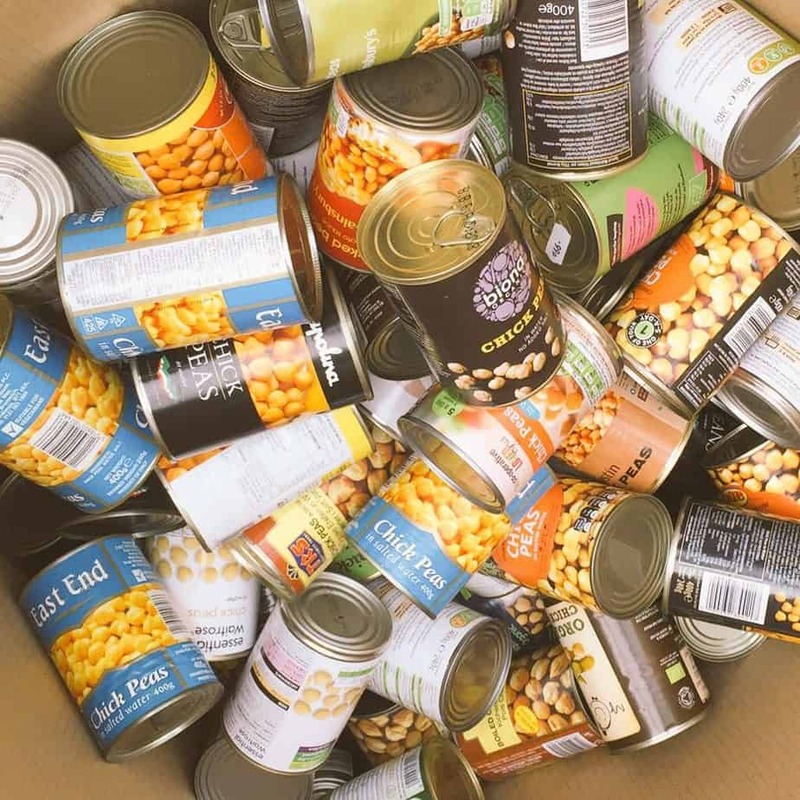 Glam Hatters’ Food Collection for Calaid. Today is World Refugee Day and Marks the beginning of Refugee Week. Last week I organised food donations with 6 local schools to be collected and driven by the charity Calaid to the “Jungle” in Calais for refugees. Owen from Calaid, Janie from Glam Hatters, Sarah from Eleanor Palmer and Keir Starmer Labour MP and shadow minister for immigration. 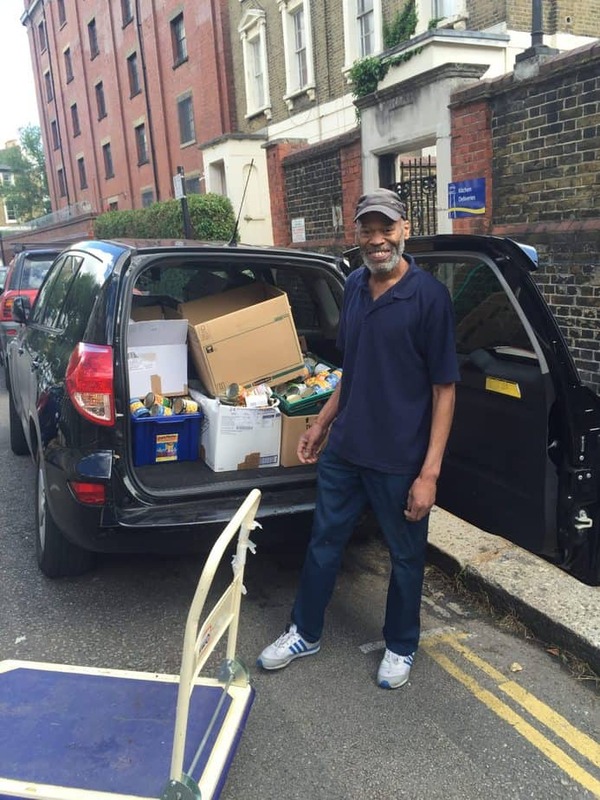 So I had this idea that my daughter Lottie’s school could organise food donations for the refugee camp in Calais and that if we only asked for 5 foodstuffs and had 5 boxes to put them in and found a van to drive them to Calais then we’d avoid loads of time sorting donations and avoid warehouse costs storing the items. 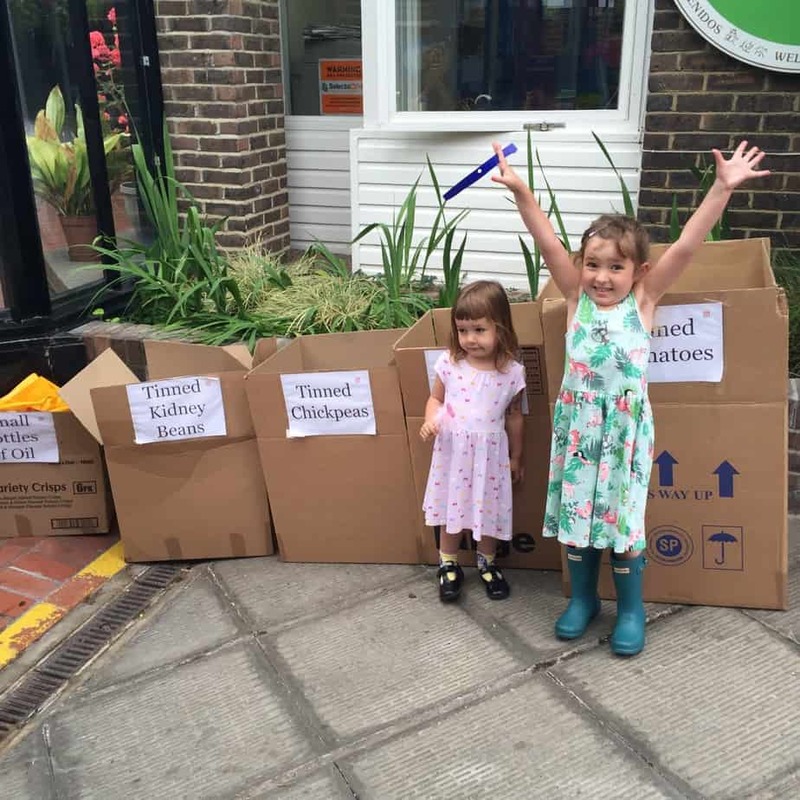 Tilly and Lottie encouraging donations at Eleanor Palmer. 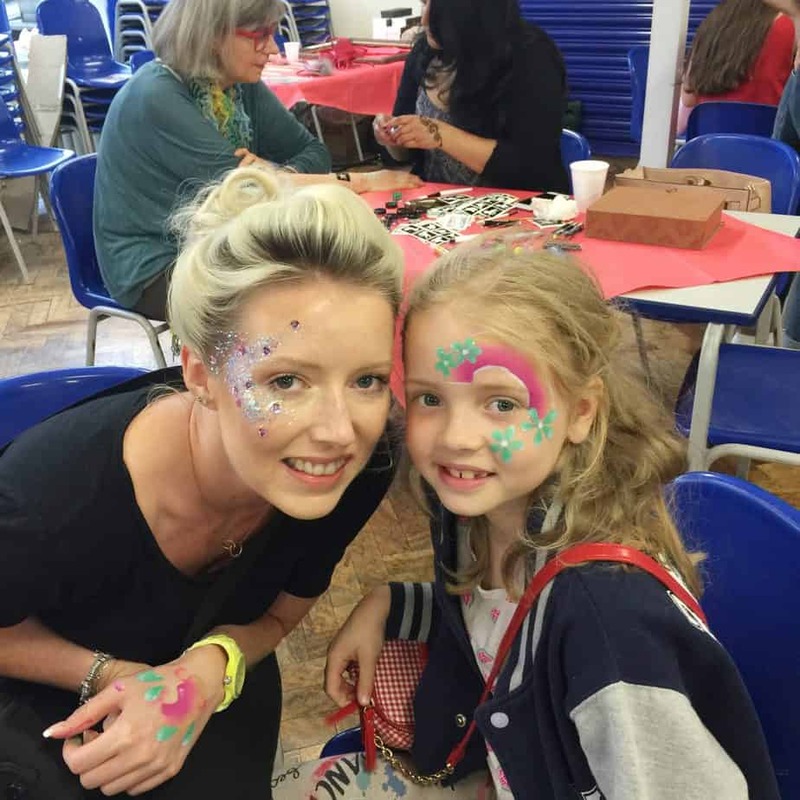 I spoke to the ladies in the office at Lottie’s school, Eleanor Palmer and asked if they had any contacts in other local schools and could introduce me to them – Sarah at the school then contacted her friends at the other schools and got them on board. 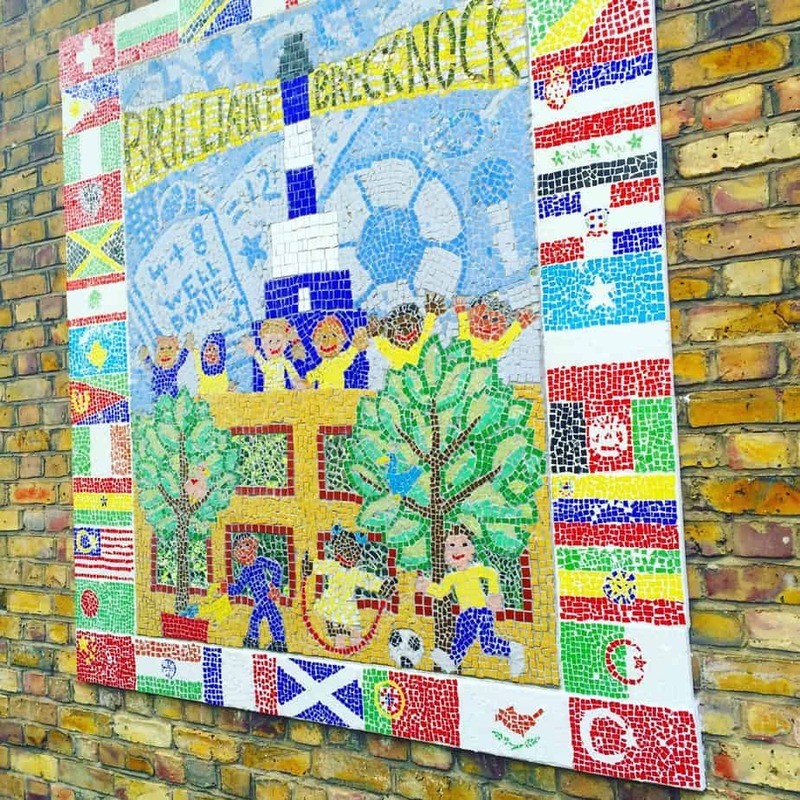 The schools involved were, Eleanor Palmer Primary, Fitzjohn’s Primary, Primrose Hill Primary, Kentish Town Primary, Brecknock Primary and Torriano Primary. I followed up each school with exactly what we needed and how it would work. Pictures at Kentish Town Primary School. Then I called Owen from Calaid and he organised a vehicle and volunteers to get the food over to Calais. From there my lovely friend talked to Keir Starmer and got him on board. I then contacted The Ham & High and told them about the food drive…. So this is how it worked- On Monday I drove around the schools and gave each of them 5 labelled boxes, (tinned fish, tinned tomatoes, tinned kidney beans, tinned chickpeas, small bottles of oil) to place at the school gates. On Tuesday the schools collected the items and the parents were amazing in the amount they donated into those boxes. 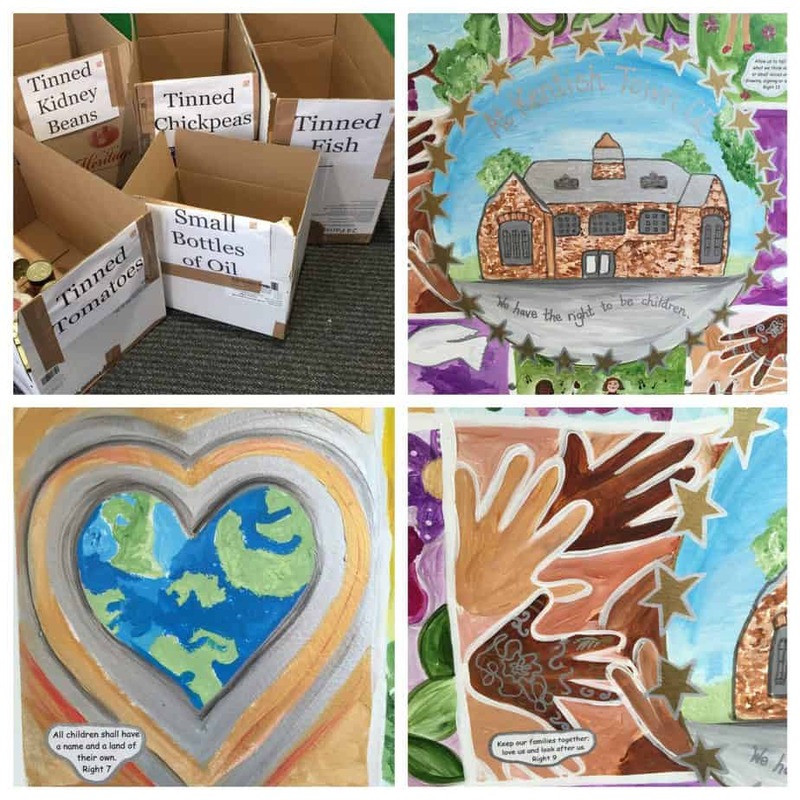 All of the schools had let the children know about the collections during their assemblies the previous week and also added it to their newsletters for the parents. Some schools had even printed up flyers and given them out at the school gates. 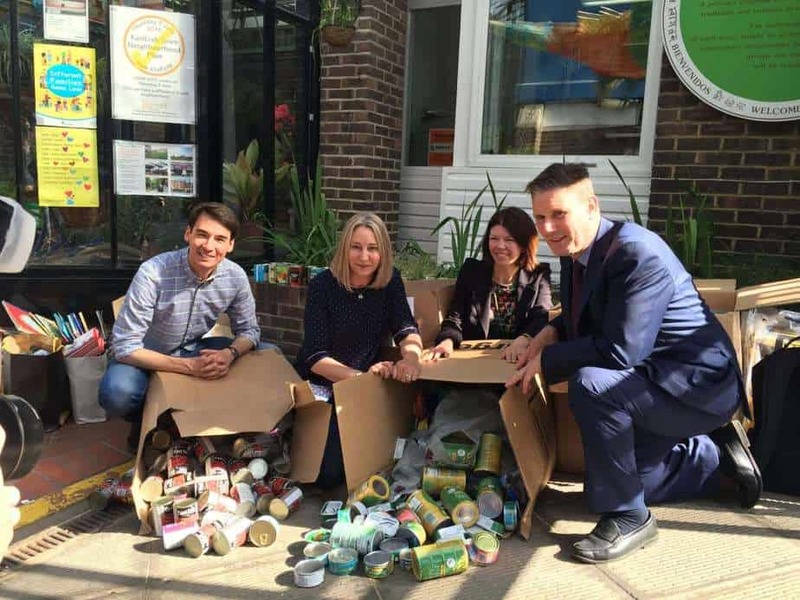 On Wednesday morning Keir Starmer, myself, Sarah the school business manager and Owen from Calaid had an interview and photo with The Ham & High in order to remind people that the Calais camp is still there and that families are still stuck in awful conditions. Then myself, Louise, Tamara and Vicki (also Mums at the school) drove around the other 5 schools picking up all the donations and took them back to Lottie’s school. At 11 am the van arrived with 2 more volunteers. 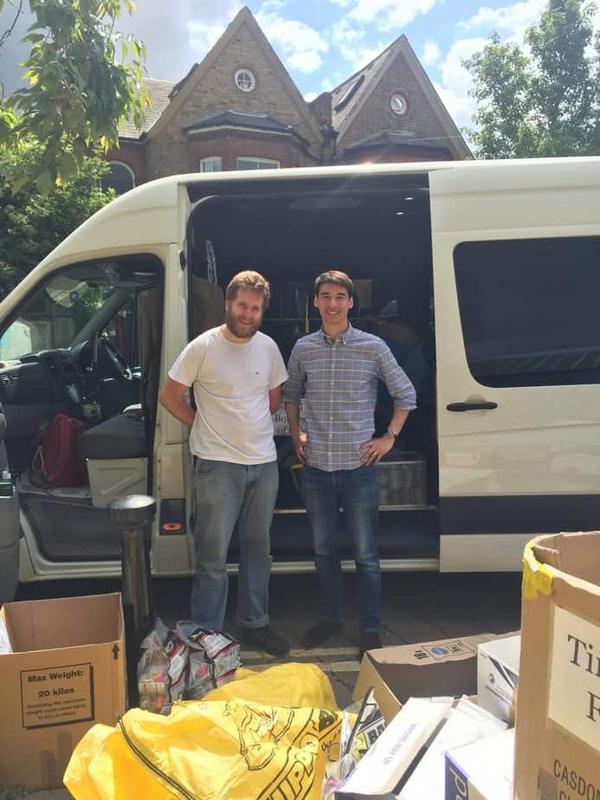 The van was then loaded with over 30 boxes of tinned food and oil ready to take to Calais. 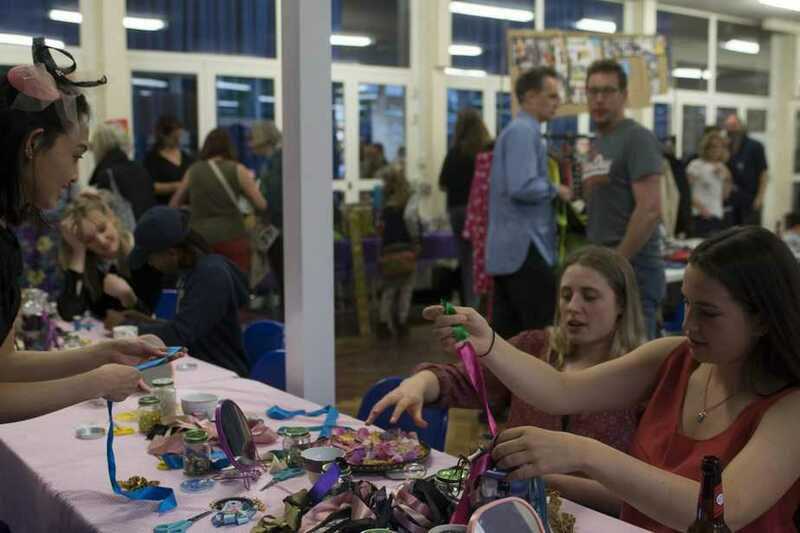 I then handed over the money that myself and The Glam Hatter Girls and Make-Up Artist London had raised at The Camden School For Girls Summer Fair from Fascinator Making and Glitter Tattoos the week before to pay for the diesel! If anyone wants to collect donations at their school please contact me. This worked so well because everyone worked together as a team and used their unique talents to make it happen. Thank you everyone who helped make this event happen. I finished last week a happy bunny but I do know this is just the beginning. I will be doing more of this and I’m now looking to working with more schools/universities or large corporations who have a reception area big enough to fit 5 boxes of emergency food …. Anyone have any connections or people they can introduce me to so that I can roll out this method, please let me know. Thank you, thank you. We’ve all been watching the refugee crisis unfold, watching Mums and Dads and kids forced to flee in unsafe boats, to walk across Europe, to then get stuck in a cold, wet, hostile refugee camp. It’s horrendous and if you can do something to help, big or small I believe you must. For more details on how to help and to understand more about what is going on take a look at the Calaid website here. Huge thanks to, Make-Up Artist London.